Successfully Added Lenovo K3 Smartphone - 5 Inch HD Screen, Quad Core CPU, Android OS, 4G, 2300mAh Battery (Black) to your Shopping Cart. The Lenovo K3 smartphone is powered by a 1.2Ghz Quad core Qualcomm Snapdragon processor and comes with 1GB of RAM so it's more than capable of handling all your daily phone needs from music, movies to calls and browsing the web. Thanks to its 720P HD screen the Lenovo will bring crisp bright images to life in great detail at almost 300PPI which means if your love games or movies that will look ace on this phones screen. With 16GB of internal storage and a micro SD slot offering up to 32GB of extra space there is plenty of room for your full media library with loads of storage left over for any og the millions of games and apps you want to download from the Google Play store. The Lenovo K3 Smartphone has a 2300mAh battery letting you enjoy up to 8 hours of continues usage or have around 3 days of standby power so you can keep going all weekend without needing to stop and recharge. Dual SIM card support lets you switch network providers without removing the back of your phone so if you're always on the go you can easily avoid roaming charges and enjoy greater network coverage without any hassles. With 4G frequencies supported the Lenovo K3 delivers access to the fastest cellular download speeds capable of steaming data as fast as a typical broadband line. This means you can watch live sports or steam HD movies direct to your phone even when on the go. 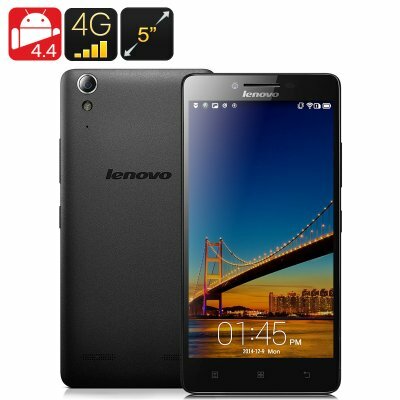 The Lenovo K3 Android Smartphone comes with a 12 months warranty, brought to you by the leader in electronic devices as well as wholesale Android Chinese Smartphones..